Rovito's is a very unique and friendly men’s clothing specialty store offering suits, jackets, slacks, shirts, ties and accessories. 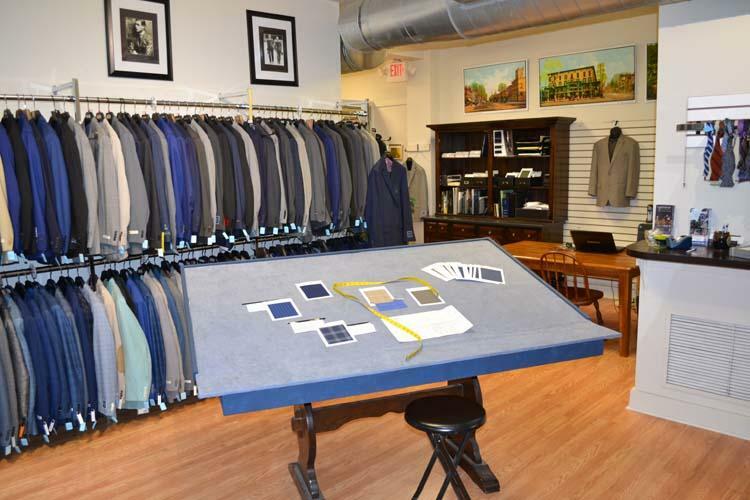 Rovito’s also offers a complete custom clothing department featuring H. Freeman and S. Cohen custom clothing. What makes us special is the exceptional quality of fit. Come in and get to know us. Let us show you how easy it is to shop our store. You won't be disappointed. 1. Foremost we are tailors and tailoring is the hallmark of our business. 2. Our suits are beautifully tailored, made from fine worsted wool fabrics, and are available in modern cut or very trim styles, in all the great new colors. They start at only $399, including complete fitting and tailoring by us right in our own shop. 3. We fit your suits to the way you want it to look, and to the way it should fit, so you look and feel great wearing your new clothes.